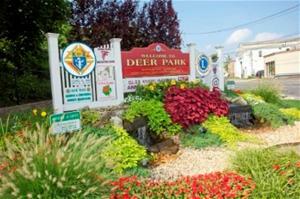 The Town of Babylon Adopt-A-Spot program was designed to help enhance the overall appearance of our town. The program invites professional landscapers or community groups who want to beautify a town-owned parcel of land to adopt that spot for a minimum of two years. Once a spot has been adopted a contract is signed between the town and the adopting organization setting out the responsibilities of both parties. The organization agrees to maintain the spot on a regular basis, with a minimum maintenance schedule of four times a year. The town donates annual flowers from its greenhouse, perennial bulbs, garbage bags, and gloves, as well as a sign advertising the adopting company or organization’s name and telephone number. Through cooperation and community effort the Adopt-A-Spot program helps transform unattractive sites into beautiful additions to our neighborhoods. A contract is signed by the participating company pledging to keep the adopted area for a period of two years. This program is an excellent opportunity for professional landscapers to showcase the work of their organization. The town will provide a sprinkler system so the beautified area is irrigated. The Town of Babylon will provide annual flowers and bulbs for the landscaper to plant in its Adopt-A-Spot and will also provide a sign crediting the company for its dedicated efforts. The Adopt-A-Spot program is available to licensed professional landscapers or a business or organization who agrees to hire a professional company to maintain the site.